What does it mean to be a good neighbor where you live? Maybe it means keeping to yourself or offering a friendly wave. It might mean pulling in your garbage bins from the corner in a timely manner instead of leaving them there for days. It might mean not painting your house hot pink, or letting your dog bark his head off in the backyard all day long. Where I live, being a good neighbor means not mowing your lawn at seven in the morning on Saturday. Well, there’s another thing you can add to your list if you want to be a good neighbor — get a home alarm system. Let’s dig into some disappointing and scary statistics, shall we? Every year the FBI determines crime rates in the United States. For 2016, they concluded that violent crimes are on the rise. The US experienced a 3.9 percent increase in violent crimes over the previous year. That begs the question — exactly what is considered a violent crime? That’s enough to make you want to stay home, except that violent crimes can occur on residential properties too! Before you get all worked up, it’s important to know that this one statistic doesn’t tell the whole story. You spend a lot of time at home, and it turns out, you’re safer than ever just lounging on the couch. Although violent crimes are on the rise, property crimes are actually decreasing. 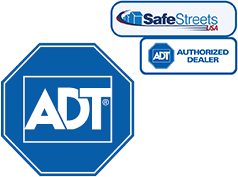 More and more homeowners are using home alarm systems. A 2009 study found that a burglar alarm makes a home less attractive to an intruder. Well, duh! Of course, it does! More homeowners than ever before are installing alarm systems for this reason, and because they’re more affordable and easier to install than ever before, even renters are having systems installed. That’s great news for anyone with a home alarm system, but it turns out you’re doing your neighbors a favor too. According to that same study, not only is your home safer from burglars, your neighbors’ homes are safer from burglars as well. It’s the first study of its kind to focus on alarm systems while ruling out other factors that can impact crime rates. This allowed the team to discover that not only did home alarm systems decrease burglaries on-property, they don’t displace those burglaries either. That means if an intruder can’t gain entry to your home due to an alarm system, he’s more likely to leave the neighborhood than he is to give the house next door a try. 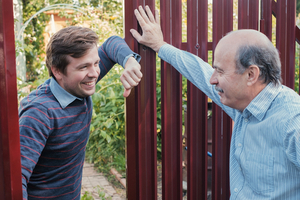 Not only are you doing you and your family a favor by installing a home alarm system, it turns out you’re doing your neighbors a huge favor too, whether they have an alarm system of their own or not. How’s that for being a good neighbor!